The Thunderchild (Delmas/St. 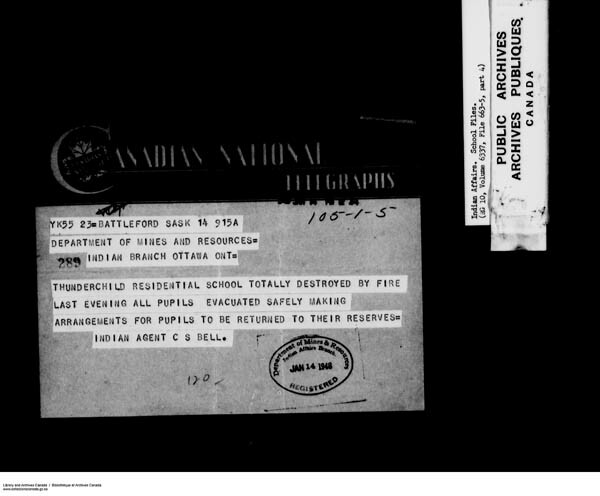 Henri) Indian Residential School operated from 1901 to 1948 at what became Delmas, outside and west of the Thunderchild Reserve on Treaty 6 land. 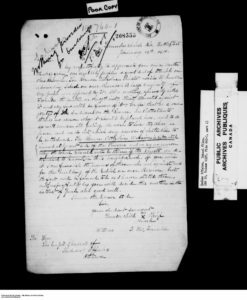 In January 1901, Chief Thunderchild wrote on behalf of his people to protest the building of a Roman Catholic school on his reserve. “We feel that as a majority of the Indians on the Reserve are Protestant there is no reason why it should be placed here …The Roman Catholic Mission is situated immediately outside of the Reserve and we see no reason why the school should not be there…”1 The Roman Catholic Church (RCC) agreed to build the school at their mission property instead. The RCC Oblate missionaries (Oblates of Mary Immaculate) operated the school, which was founded by Fr. Henri Delmas. Fr. Delmas worked with the Sainte-Angèle mission but the name was changed to Delmas in 1905. 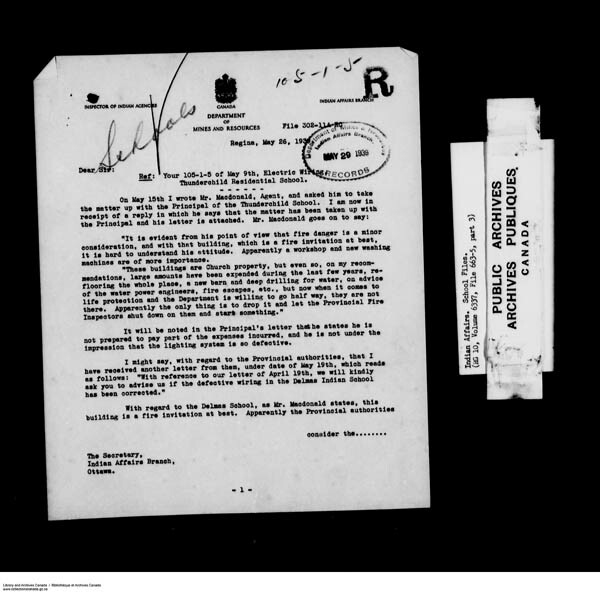 The railway was built through Thunderchild Reserve in 1904, which brought an invasion of white settlers. 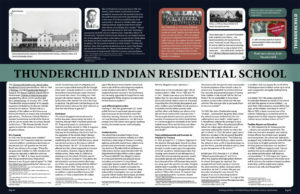 In 1909 and 1910 Thunderchild and another Reserve were relocated by Ottawa (Source). This source claims that Father Delmas was asked by the inhabitants of Thunderchild and Moosomin Reserves to intervene on their behalf with the federal government because they wanted to relocate. 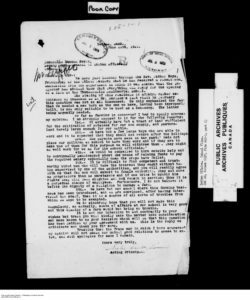 However, Lawyer Eleanore Sunchild says, “the First Nation was forcibly relocated in the early 1900s due to a vote achieved by manufactured consent.” (Source). 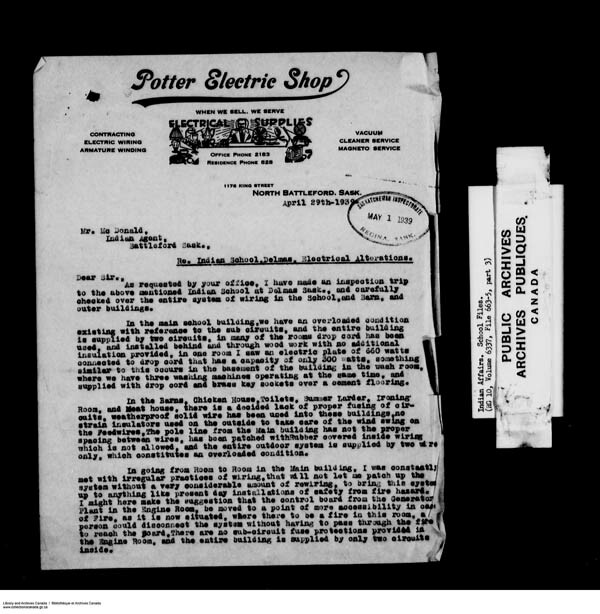 In 1929, the Acting Principal, a Sister, advised the federal government that she was strongly opposed to farming instruction and that parents were too. They didn’t want their children working on a farm. 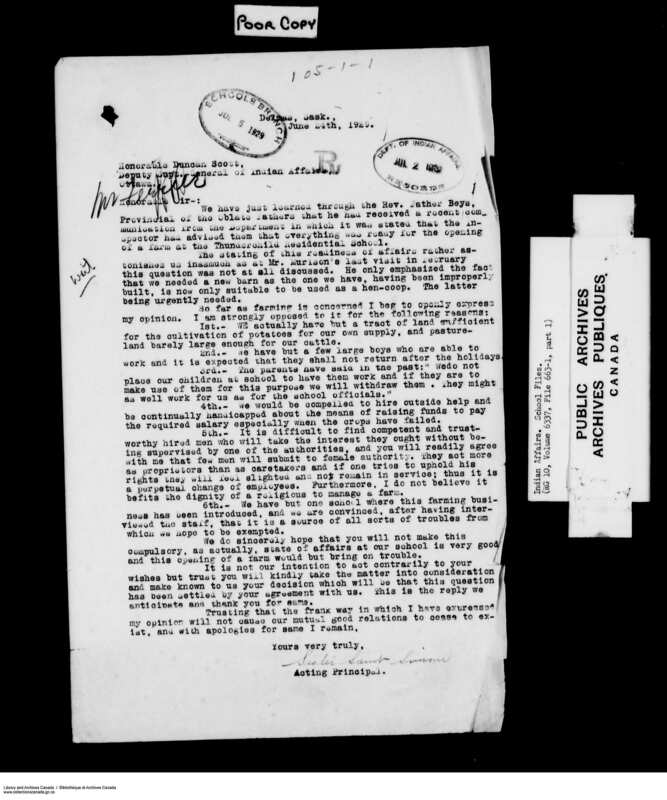 In 1934, in response to the government’s further inquiry on the issue, Father A. Naessens explained to Deputy Minister Scott that at Delmas, the Sisters were practically running the Institution, and “they have been frequently told about the wishes of the Department with regards the training of the older boys in farming; but they seem to have objections towards complying with these instructions in that respect.” However, if directed to do so, the Sisters would arrange for farming to be taught. Scott responded that the principal ought to have control of his school, and that a prairie school that did not provide instruction in farming was not likely to “remain a factor in our educational programme.” The school did end up with a small farm operation with 16 hectares under cultivation. Principal doesn’t seem to think the wiring and “fire danger” is a major consideration. 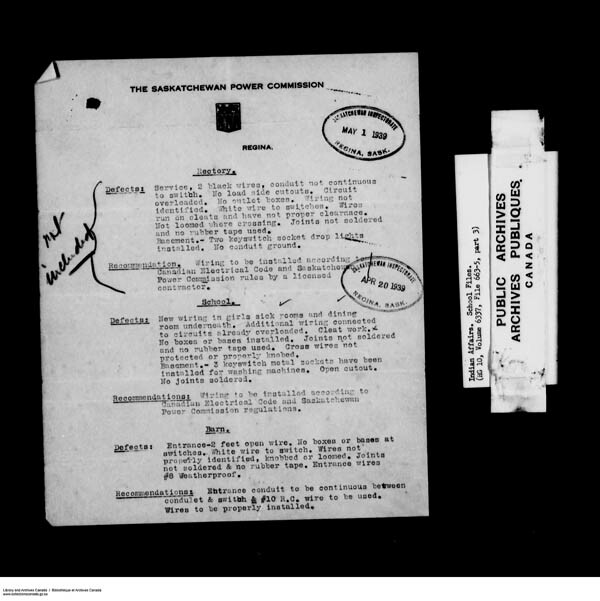 Click image to download pdf containing RCMP report on the investigation. 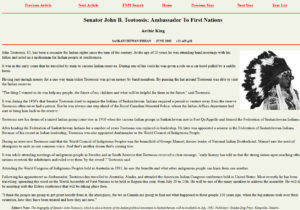 John Tootoosis said that at the Delmas school, “They washed away practically everything from our minds, all the things an Indian needed to help himself, to think the way a human person should in order to survive.” “Tootoosis claimed that when he was discharged from Delmas at the age of 16, he returned to Thunderchild Reserve ‘like a potato—brown outside, white inside. '” (Huel, R. (1996). 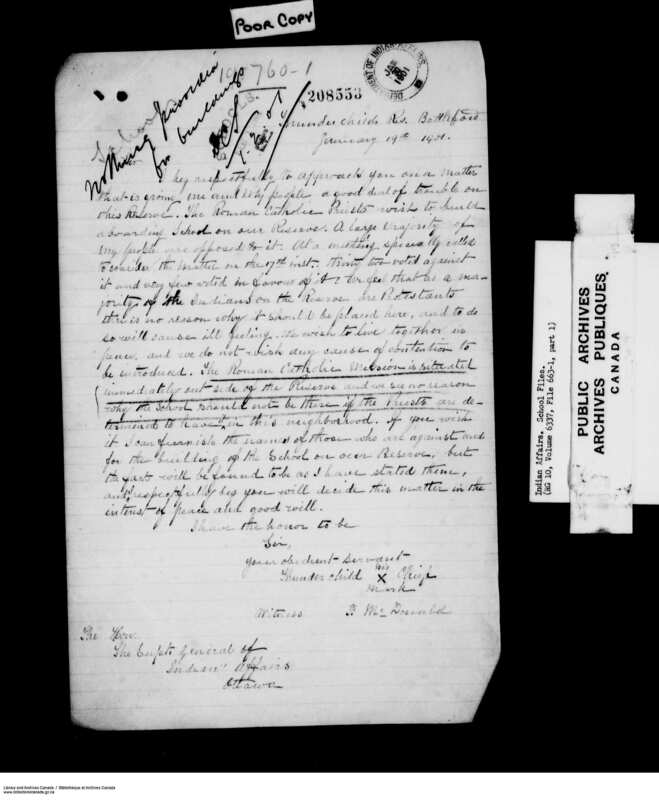 Proclaiming the Gospel to the Indians and the Metis, p. 287) Photo: Saskatchewan Archives Board, R-A7662. 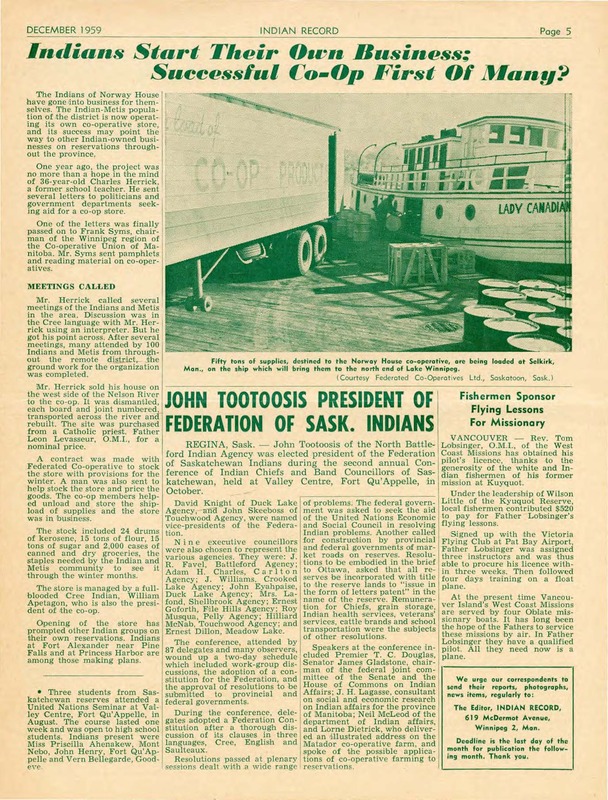 In 1912, twelve-year-old John Tootoosis Jr. and his younger brother Tom were herding their family’s sheep on the Poundmaker Reserve in Saskatchewan, when they caught sight of a wagon outside their parents’ home. A priest was in earnest discussion with their father, who was far from impressed by residential schooling, though he could see the value in formal education. Former students, alienated from their families and their traditions, were already referred to on the reserve as “the crazy schoolers.” In the end, their father’s concern that the boys learn to read, write, and figure won out. He told them to eat a quick meal and put on their warm clothing; they were being sent forty kilometres away to the Delmas boarding school (also called the Thunderchild school).135 The boys enjoyed the wagon ride, but were surprised and overwhelmed by the nuns who met them on their arrival. In coming days, they discovered they would be punished for speaking Cree and risked further punishments for making mistakes in English. Many students retreated into themselves, but John Tootoosis became adversarial. 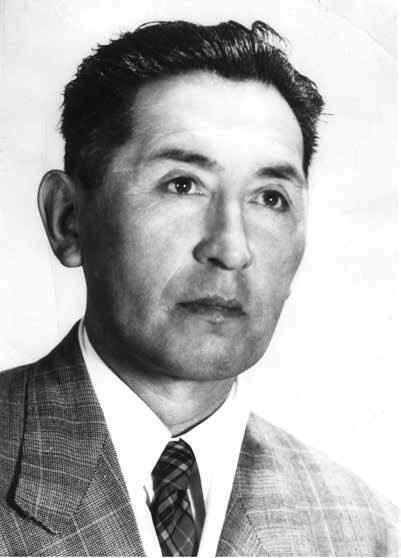 Henry Beaudry, originally of Poundmaker First Nation and great grandson of Chief Poundmaker, was born in 1921 and was a former student of Delmas Indian Residential School. Video below documents Henry’s life story. 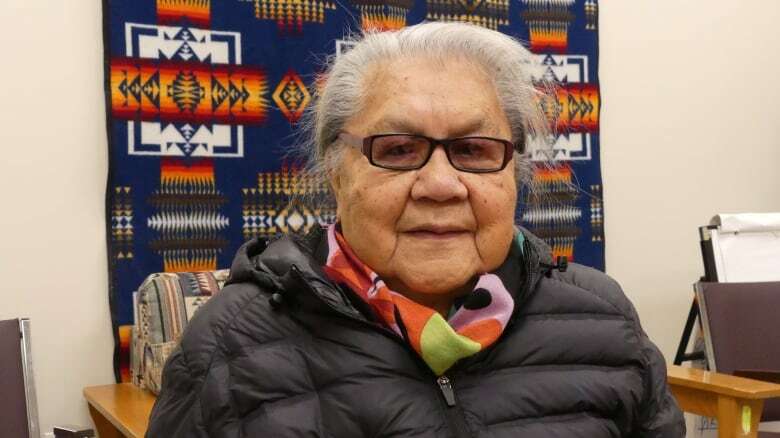 Theresa Sapp, 77, a survivor of Thunderchild Indian residential school at Delmas, Sask., was surprised that a group of non-aboriginal allies were walking to honour survivors. (Theresa Bear). CBC news (Click image to read article). 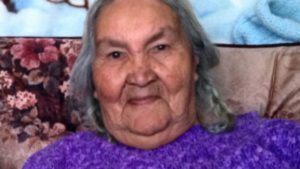 Residential school survivor Jenny Spyglass says she’s glad the residential school burned down. (David Shield/CBC). CBC news (Click image to read article).